This week Char is sharing easy and inexpensive valentines for kids. Each one can be developed as a photo and then embellished with a little toy from the party store that is under a quarter. She is even letting you download the images to print for free. 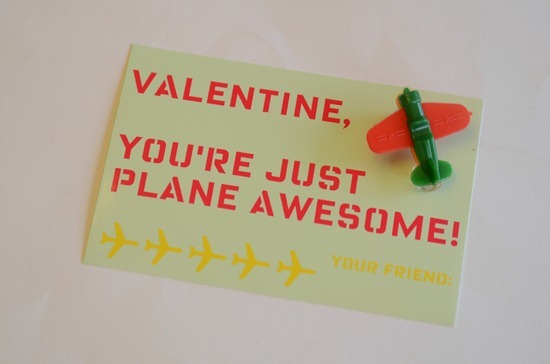 This cute printable You're Just Plane Awesome Valentine would be cute with a template for a paper airplane or a foam airplane you can get from Oriental Trading too. You can get this printable valentine and check out the others coming this week over at Crap I've Made.